This is the sample that demonstrates how the Kony Web Application output implements support for Progressive Web Application capabilities. The provided sample can be imported into Kony Fabric console and the web app can then be published to a Kony Fabric runtime environment. Lighthouse (https://developers.google.com/web/tools/lighthouse/) was used to evaluate the Progressive Web App Score against the Baseline Progressive Web App Checklist. 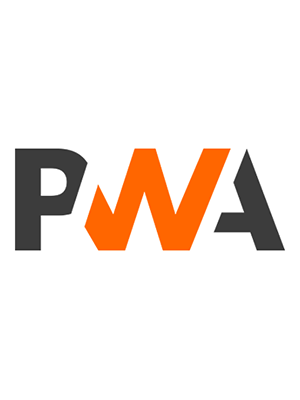 Progressive Web Applications are rich web apps that support the technology, design concepts, and Web APIs that work in tandem to provide an app-like experience on the web. They can receive Push messages, work offline, added to the home screen & perform like apps. This is the sample that demonstrates how the Kony Web Application output implements support for Progressive Web Application capabilities. Log on to your Kony account. The Dashboard page appears by default. Now, drag & drop or browse the asset to Import. Once the App is published click on it to view the App Details. Now select your Fabric runtime where you would like to Publish the Web App and click on the Publish button. Once the App is published, you will receive an email on your registered account with the Web App URL to use. In a Chrome browser, download & install the Lighthouse extension. Once the URL is loaded on the browser, select the lighthouse extension and click on Generate Report. This would generate the report with the Progressive Web App audit and score. Lighthouse (https://developers.google.com/web/tools/lighthouse/) was used to evaluate the Progressive Web App Score against the Baseline Progressive Web App Checklist. Service Workers: This app has the capability to register for a service worker and can load pages and work offline. The Web Application is Responsive and web pages are designed to be Mobile & Tablet friendly. App can prompt user to add to Home Screen. The first load is fast but may differ based on the amount of resources being packaged on the initial screen. In addition to these features, the Kony Web App Output can support features like SEO, animations, gestures and accessibility to improve the overall usability & discoverability of the application.